Uniden walkie-talkies have some amazing features that will be perfect for you. These devices can be used for all kinds of purposes and there are some high end models which have remarkable reception and keep you updated with news and alerts no matter where you are located. 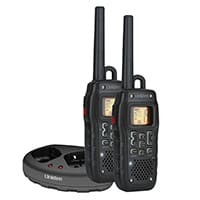 If you want a good walkie-talkie set that is reasonably priced and also durable with great power options, you should definitely look at Uniden walkie-talkies. If you take a tour of the market you will find several amazing walkie-talkies from Uniden. Deciding which model will be perfect for your own needs can be quite difficult though. That's why we created this guide discussing some of the best Uniden walkie-talkies. We start this guide with the Uniden GMR1635. This walkie-talkie has all the amazing features you'll need. What’s more is that it is priced very reasonably as well. This Uniden walkie-talkie comes with built-in batteries which last long and allow you to use the device for long periods of time. It has a pretty good range as well and you can use it even when your cellphone is not working. The GMR1635 has a compact design and tough exterior and can be used for a number of purposes. And no matter how you plan to use the radio, it will not disappoint you. You have access to multiple channels and can communicate with your friends and family no matter where you are located. The Uniden GMR1635 is definitely worth investing in. If you enjoy hunting and other adventure sports then Uniden has created a device just for you. 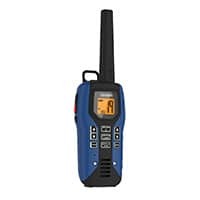 The Uniden GMR5089 has everything you need in a walkie-talkie and more. This Uniden submersible walkie-talkie is designed to be water resistant, it is able to float in water and can withstand being submerged in water for almost thirty minutes. This Uniden walkie-talkie has a range of around fifty miles under the right circumstances, which will allow you to easily communicate with the others in your group no matter where you are. The GMR5089 is able to access a number of different channels, and it also has access to the NOAA weather service so you can receive alerts no matter where you are. The Uniden GMR5089 is an amazing walkie-talkie at a very reasonable price, you will not be disappointed if you buy one. Another great device is the Uniden GMR5095. They have completely outdone themselves in producing this amazing walkie-talkie. With this device in hand you can stay connected to your friends wherever you are, due to it's incredible range and great battery life. The tough body makes the GMR5095 very durable and gives it the ability to survive in harsh conditions. The design of the device is attractive, although the device is rather bulky. But it is easy to use and anyone can figure it out. You can even enjoy hands free operation. The Uniden GMR5095 is an incredible device and you will definitely love this one. If you are looking for a great waterproof walkie-talkie, then you should check out the Uniden GMR6000. This device is not only waterproof but it also has a good range and will allow you to communicate over large distances. This device also claims to be weather resistant and is able to float in case you drop it in water. The GMR6000 has a compact design and is extremely lightweight making it perfect for those long trips where you do not want to carry heavy luggage around with you. But being lightweight doesn’t mean it’s not durable. The body is designed to withstand all kinds of conditions. What’s more is that you can strap this walkie-talkie to your belt to take it with you everywhere you go. With all these amazing features and more, the Uniden GMR6000 is worth checking out. You should also consider getting some accessories with your Uniden walkie-talkie that will make your experience using the device even more enjoyable. 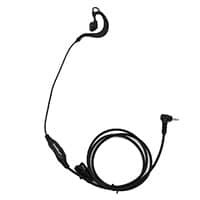 The most popular accessories to buy with a Uniden walkie-talkie are a headset and extra batteries. First off, you should consider to buy a good headset to go with your walkie-talkie so you can enjoy hands-free communication. There are many headsets available on the market that are compatible with Uniden walkie-talkies. We recommend the headset from GoodQbuy, it works well with most Uniden radios. If you want to use you walkie-talkie all the time without having to worry about its batteries running out, then you should definitely get an extra battery pack with it. 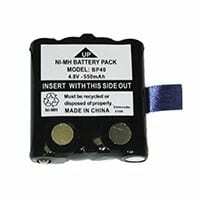 These batteries work well with most Uniden walkie-talkies. 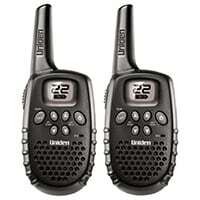 ​Uniden produces a number of very good walkie-talkies, and choosing the right one can be difficult. But with a little research you should be able to find the walkie-talkie set just right for your own needs. You can't really go wrong with any of the Uniden models covered in this guide.